This movie reminded me of an old Saturday Night Live sketch by Mike Myers called "Coffee Talk." Every now and then, Myers' character Linda Richman would be so overwhelmed by tears that she would have to pause and would say "talk amongst yourselves." She would make a suggestion that always involved saying something was neither this nor that, like "The Ancient Romans were neither Ancient nor Romans, discuss." Or "The navel orange is neither navel nor orange, discuss." 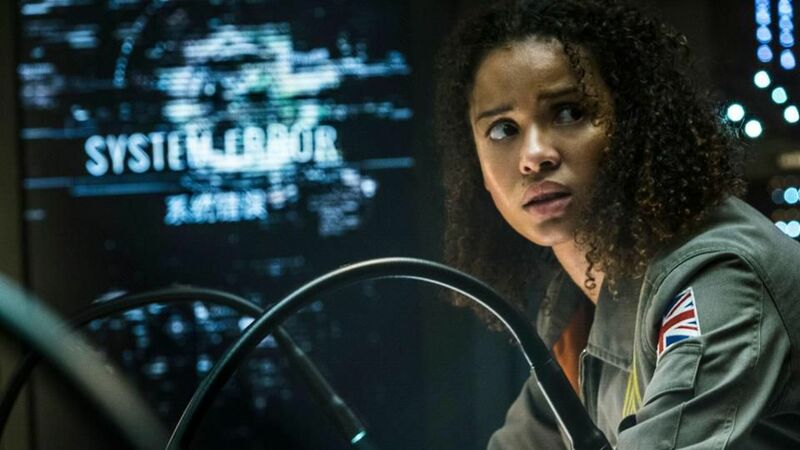 The Cloverfield Paradox is neither about Cloverfield nor a paradox, let's discuss. I think the Cloverfield connection, which gets people's attention, really does a disservice to this movie. If it stood on its own, it might hold up better without having to attach itself like a parasite to Cloverfield, but without the Cloverfield connection, it's a much worse movie. There's also no paradox, because it's not a time travel movie...or is it? I'll add here before I get into the meat of the review that I love stories about alternate realities and time travel so I have a soft spot for The Cloverfield Paradox that other reviewers don't. As a movie about alternate realities and time travel, I think it's actually very good. As a horror-thriller, it's kind of lame. 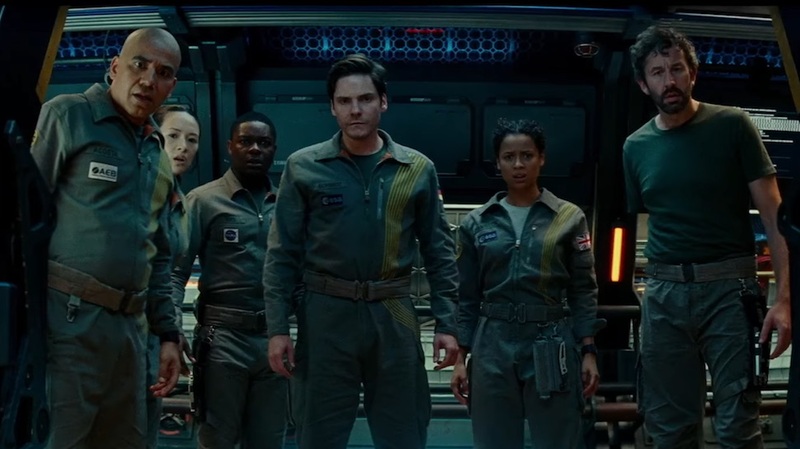 The Cloverfield Paradox is about a team of scientists aboard a space station trying to build a particle accelerator that will produce cheap and renewable energy for a future Earth struggling in an energy crisis. Despite warnings from fringe scientists that the experiment will cause chaos, the scientists succeed with the accelerator but it suddenly transports the entire station to another area of space where the Earth is gone, and mysterious things start happening. The movie (originally called The God Particle) seems inspired by the dire warnings people had about the Large Hadron Collider, which some crackpots - er, scientists - predicted would open a black hole or a gateway to Hell or something. In this movie, that actually happens. Well, sort of. I don't want to spoil too much of the movie, but I will say (since it's in the description) that the Cloverfield Station is transported to an alternate reality. While there, strange things start happening as the crew tries to find a way back home. The things that happen to the crew are absolutely bizarre and really awesome for those who love movies that make your head spin like me. The problem is that when you have something crazy happen, you have to explain why it happened in the end. 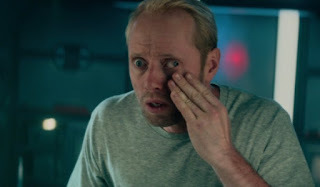 That's where Cloverfield Paradox fails because the movie ended with me saying, "Wait, that's it? Why did that guy's arm do that again? How did the worms get in there?" It's like they just did weird stuff for the sake of weird, but the answer to where the crew is and what happened to them has nothing to do with the weird stuff. It...just kind of happened. I have some theories (which I'll probably get into later) but without reading into subtext or theories, you're left in confusion. There are also some inconsistencies because the movie was originally not a Cloverfield story, and the rewrites show. Other than the name of the station and the ending, it has nothing openly connecting it to Cloverfield. The ending has a direct connection to the original Cloverfield, but it also doesn't make much sense when you think about it (again, I'll get into that later). At the same time, I thought the actual alternate reality story was brilliant. The idea of being transported to another version of ours and all the different changes they faced was well-done and also inspired some thought about other paths taken. What if you went to a world that wasn't yours but had some good things about it? How much would you fight to save a world that you don't belong to? How far would you go to save your world or make it better? As far as the acting and the special effects, they are great. There's a real sense of panic and drama as the crew fight and argue in the claustrophobic station. I especially loved Gugu Mbatha-Raw's role as the strong but grieving Hamilton and think she has a really great future, especially with her acclaimed appearance on Black Mirror. But a major problem with the movie is that it falls back on a lot of cliches. We've seen movies where a spaceship's crew is killed off one by one, where one crew member turns on the others, and where there's a desperate race to fix the McGuffin device. If you take away the cliches, you're left with a bad knock-off of Sunshine or Alien. 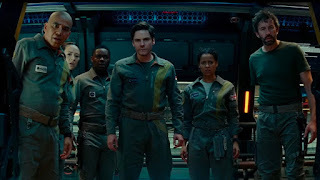 In the end, the best I can say about The Cloverfield Paradox is that it's a decent movie with a great and underused premise, and a marketing strategy that only manages to make it seem more interesting than it is. I don't think it's as bad as a lot of other reviewers are saying, but it's definitely not worth all the hype. What did you think of The Cloverfield Paradox?